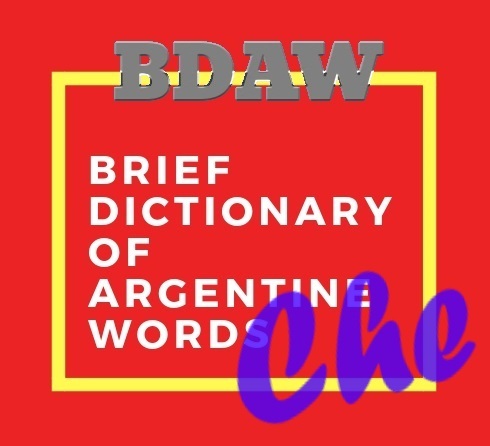 The expression “che” deserves a special chapter in our Brief Dictionary of Argentine Words (BDAW), for a couple of reasons: first, because it is a slang word with tricky meanings and usage, and second, because it is almost a trademark of argentine culture. What does che mean in Argentina? 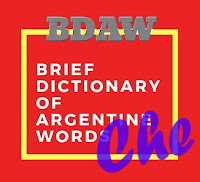 If you spend some time in Argentina, particularly in Buenos Aires, you will notice that the slang word che is mostly used in argentine spanish to call someone’s attention. Just as you use hey in english. But you will not say che to just anyone. You need to be really familiar with the person to call him or her che. Otherwise it can be taken as a lack of respect. Che, María, convidame un mate por favor. Meaning: Hey, María, give me a mate, please. As a vocative, che is frequently followed by an imperative, an order, as in the previous examples. Che, escúchenme, que tengo algo importante que decirles. Meaning: Hey, guys, listen to me, I have something important to tell you. Che-pibe: is used in Buenos Aires to refer to an office boy, someone that makes errands for others. Che, boludo: although boludo by itself is often used in argentine spanish as an insult, when combined with che it loses all of its insulting power. In this case, boludo becomes just an extension of che with no bad intentions at all. So, when in Buenos Aires, please don't feel insulted when someone calls you Che boludo. Che can also be used as an exclamation, or as an expression of amazement. Used in this way, it has no intrinsic meaning (just like other expressions like ¡hombre!). Example: ¡no puede ser, che! Closest meaning: no way, man! Also, in some latin-american countries, che is used to refer to any argentine person. According to Wikipedia, the interjection che is a derivative of the Italian cioè, which means that is to say, or I mean, or i.e. The massive immigration of Italian citizens to Argentina during the late 19th century and early 20th century caused a popularization of the word cioè, which eventually mutated to che. Ernesto Guevara won the name of Che because of his frequent use of the word. Hope you enjoyed this special issue of BDAW! If you have any questions or doubts, please live a note in the comments section below or send us a message through the form at the right of this page.